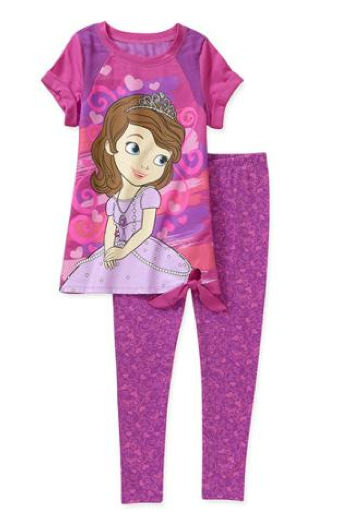 Disney Sofia the First Girls' 2 Piece Tunic and Legging Set On Clearance for $8 (Reg. $13)! You are here: Home / Great Deals / Disney Sofia the First Girls’ 2 Piece Tunic and Legging Set On Clearance for $8 (Reg. $13)! Disney Sofia the First Girls’ 2 Piece Tunic and Legging Set On Clearance for $8 (Reg. $13)! Your little Sofia the First fan is sure to love this adorable Disney Sofia the First Girls’ 2 Piece Tunic and Legging Set, which is actually on CLEARANCE right now for just $8 (down from $13)!